Perfect Circle Racing expects our participants to be responsible. If you commit to a skipper to sail on a given day, be there or let the skipper know if will not be sailing. The skipper will not be calling you to verify your participation. He/she expects you to be responsible, and keep us abreast of your commitments. One of the goals of this program is to make it easy for both the skippers and crew to become connected and able to participate in these races. Communicating your intentions to the skippers helps to facilitate this process. Following is our schedule. Please confirm your intended participation. Great low end races, easy to sail, good for novices and beginners as well as experienced racers. They are a lot of fun with a nice party at OYC following the race. Mandatory for new Racing Crew. Recommended for all crew who are not Certified Racing Crew. 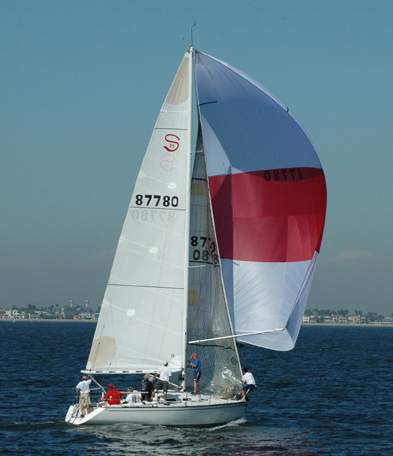 This session reviews each of the crew positions and responsibilities on a racing sailboat, the sailboat rigging, care and use of sails, the sailing powerplant, and other topics. Prepare by reading Definitions and Terminology before the session. This session consists of training at the dock, practice on the boat, then sailing. If you want to bring some drinks or munchies to share, please feel free. Please RSVP via email to fred@perfectcircle.com. Learn the ins and outs of sail trim including: how to trim your main and jib for acceleration mode, as well as high speed mode; how to trim a chute in very light air; why the pole is a primary trimming control, and more. A breakdown of the Racing Rules to allow you to feel comfortable sailing close to other boats and racing with the big boys. Learn which rules are very important, and which ones are not so important. Learn when to 'Protest', and if someone protests you, learn when to do your circles and how to survive a Protest Hearing when you are right.